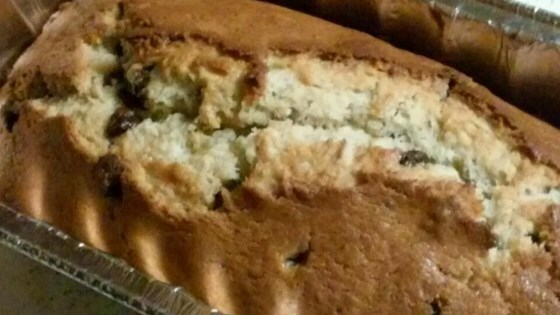 "This is the best banana bread I've ever made and was an instant hit with my family. The secret is using very, very ripe (almost black!) bananas and cake flour." Ggod recipe. My daughter thought it was strange to mix bananas and choc chips. I liked it! All of my chocolate chips fell to the bottom of the pan. It was a mess and, needless to say, didn't taste very good. Amazing! The BEST banana bread I've ever had! Not only that, easy to make! My first try at bread and it was fenominal! Thanks for sharing this fantastic recipe! WOW!!! We loved this recipe! This is a keeper for our recipe book.